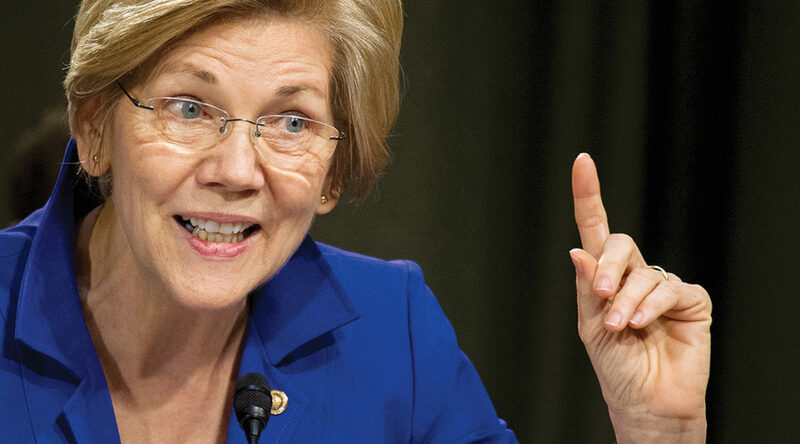 Elizabeth Warren has released a report indicating that, yes, contrary to the claims of Donald Trump, she does indeed possess Native American DNA. I have followed this story on my Twitter Machine, and her supporters are crowing: Elizabeth Warren is Winning, they say. DNA does not mean that Warren is Native American, at least in a completely meaningful way. Nor does her possessing older markers of Indian identity, like a certain “blood-quantum.” Warren may be anywhere from 1/32nd to 1/512th Native American. But she has membership in no native nation. Senator Warren claims Native American identity, but it is worth noting that no Native Americans seem to claim her. Look. My family emigrated to the United States from all over Northern Europe. According to the family stories I have been told, I am one-quarter Swedish, one-quarter Irish, one-quarter German, one-eighth French, and one-eighth English. I have a Swedish last name, but I have never been to Sweden. I do not speak the language. I do not have any particular storehouse of knowledge about how Swedish people live, how they organize their lives, what they value and what they fear. I know nothing about Swedish culture. It would be absurd for me to make any claims of membership in the Swedish body politic. My descent means nothing. Students studying Native American history have to wrestle with these issues. In the part of the country where I teach, Mary Jemison, ‘The White Woman of the Genesee,” is an important figure. Captured by Native American raiders in the middle of the eighteenth century, she ended up spending the rest of her life in Western New York among the Senecas who adopted her. To the Senecas, Mary Jemison’s “race” or “blood” or “DNA” mattered little. She became Seneca. She gave birth to Seneca children. Many Senecas today trace their descent to Mary Jemison. Native nations set their own standards for membership. Elizabeth Warren’s gambit–to try to counter the President’s mud-slinging with evidence, however problematic that evidence in the first place–was probably doomed to fail anyways. Trump’s supporters do not live in a fact- or evidence-based cosmos. But this effort on her part is nonetheless deeply unfortunate. In a month with all sorts of bad news for Native Americans, Senator Warren in an effort to validate her claim to Native American identity, has resorted to disturbing notions of belonging that have a long and unfortunate history. Non-Indians carry around in their heads a large number of ideas about who Indians are and what they ought to be. Many of these images and ideas, I have pointed out, are deeply harmful. And that non-Indians carry such powerful conceptions of what Indians are and what they should be poses a significant challenge for the residents of Native American communities. These attitudes, perceptions, fantasies and beliefs, in other words, matter. Beyond the poverty and isolation that continues to grip all too many Indian communities, these sets of ideas serve as a constraint upon native people who wish to challenge time-worn notions of Indian-ness. Two examples: The Skull Valley Goshtes of Utah, for instance, many years ago saw an opportunity for economic development in the leasing of parcels of their remote and arid reservation for the storage of nuclear waste. They found themselves confronted not only with charges that their program could harm the environment and the people who lived downwind in Salt Lake City, a not unreasonable argument, but also that housing radioactive waste was inconsistent with Indian traditions. These non-Indian critics, clinging to the time-worn notion that all Indians must have a close and spiritual connection to Mother Earth, could not imagine that the Goshutes might try to better their people’s economic conditions through one of the only options for development they had available. In the extreme northwest corner of the state of Washington, Makah whalers, determined to revive an ancient tribal custom, two decades ago found themselves denounced by well-intended environmentalists for their plan to kill a grey whale. The Makah would pursue the whale in boats of their own manufacture, paddled by their own people. They would strike the whale with a traditionally constructed harpoon. But the Makah would finish the whale off with a high-powered rifle. Their non-Indian critics, grasping at straws in their attempt to prevent the hunt, argued that no tribal tradition involved firing a .50 caliber slug into the brain of a grey whale. The traditional Makah never would have engaged in so violent a practice. Ada Deer, who headed the Bureau of Indian Affairs during the presidency of Bill Clinton, noted in the early 1980s that non-Indians in her native Wisconsin still “are surprised to see that Indians don’t live in tepees, that they have cars, TV’s, houses.” The agency Deer headed itself has played an enormous role historically in defining what it takes to be an Indian. The BIA always has privileged certain types of native leaders. To qualify for the variety of services offered by the B.I.A., for instance, Indians must demonstrate that they possess a certain “blood-quantum,” or percentage of Indian “blood.” Indian-ness, using this logic, is genetic. It is racial, passed on to children from their mothers and fathers. Approximately two-thirds of all federally recognized Indian tribes themselves accept the flawed logic of blood and blood-quantum to determine tribal membership. Indian tribes indeed must have some means for regulating entrance into their communities, however problematic the endeavor. Indians find themselves today confronted by a dazzling array of non-Indians who, for a variety of reasons, want to be Indian. New-agers who have fetishized what they believe to be “Native American spiritual traditions” have in places identified with Indian tribes, or even claimed to have been Indian in past lives. Others have tried to prove that they were Indian “because they thought that securing an Indian-ancestry would bring them some form of material advantage: free health care, per capita payments generated by oil leases or bingo hall profits, or other hoped-for windfalls.” The Mohegans and Pequots of southeastern Connecticut, both of whom operate immensely lucrative casinos, have found themselves flooded with applications from non-Indians hoping to reap the substantial economic benefits of tribal membership. Growing numbers of “wannabees” have asserted an Indian identity in order to reap the benefits of Indian gaming. Take, for instance, the notorious story of Sachem Golden Eagle of the Western Mohegan Nation of Indians in New York. Golden Eagle, known to the Bureau of Indian Affairs as Ronald A. Roberts, pleaded guilty to federal fraud charges in the summer of 2004. A failed actor, one-time country and western singer, itinerant preacher, hustler and slate dealer, Roberts claimed Indian descent, formed a “tribe,” and in 1997 attempted to open a bingo hall in a depressed town in the northern reaches of the Catskills. Two years later, he filed suit in order to collect millions of dollars in back rent on nearly a million acres of public land that he claimed the state had taken illegally from his people. Roberts wanted in to the Indian casino business, and has steadfastly argued that he descends from Indians. Still, the documents he produced to establish his Indian ancestry included a false genealogy, an altered copy of a state census, and his grandfather’s death certificate, on which Roberts crossed out the word “White” and wrote “Indian” with a ball-point pen. Other “Wannabes,” it seems, may claim Native American identity in order to grant themselves authority to speak on issues they consider important, or because they feel it will help them gain admission to a prestigious law school. letting the dealers in blood-quantum (a.k.a. the Feds or their corporate or collegiate fronts) certify them as authentically bloody enough to be called Indian, a certification which makes one neither more nor less Indian and trivializes the issues as well as makes Indians into limited-edition prints that can be bought and sold for a sum that increases the more the feds can limit the number in a finitely regressive process of defining Indians down to a sum of zero. When Indians adopt non-Indian notions of race to determine who is Indian and who is not, a large number of people will be left out. And when non-natives adopt non-Indian notions of determining who is and who is not Native American, lots of people with neither claim nor tie, with no knowledge of the culture of a community and no ties to kith and kin, will find a which they may utilize to sneak in.